Just last week I had my home television break after years of faithful service. My television and I had a great relationship for many years until one day it just stopped working. The picture became fuzzy and lines ran all across the television. Images were doubled and it was impossible to read anything on the screen. I considered having my television repaired but estimates placed repairs at $300 and upward. I also didn’t have a warranty because TV’s are one of the situations where extended warranties are not worth it. So sadly, I decided to buy a new television. 1. The best deals can sometimes be found in the stores. The Internet is a great resource and you can find many great deals online. But when it comes to television shopping, I found that the best deals are not always found online. You need to take the time to actually physically visit the stores. At the stores, you will find deals that are not always advertised online and will often notice that there are more models to choose from. You also have the ability to negotiate the price at retail chains. At Best Buy and Walmart, store managers have the power to lower the price on your electronic purchase to help facilitate the sale. At hhgregg, for example, sales associates are trained to negotiate prices with customers. Some stores are even willing to sell the floor models for a lower price. You can also often get them to throw in warranties for discounted prices. I’m not saying the best deals are always in brick and mortar stores. I’m simply saying that you shouldn’t assume that the best deal is always online. Do your homework. 2. Be sure to compare apples to apples when comparing prices. Before comparing prices, make sure that the models you are comparing have similar specs. Also, you need to balance your needs as far as technical specs and price to find the best deal for YOU. I am not a tech geek so I had to learn the difference between television types and picture formats to figure out what I actually needed. I previously had no idea how 780p compared to 1080i. Also, the differences between LCD’s, Plasma TV’s, and LED’s are very important as far as quality and durability. There were also newly-released 3D TV’s that were quite impressive. Just always make sure to keep in mind that when comparing one model to another, the prices can vary substantially based on features and specs. Again, do your homework! 3. Start with the biggest retailer first. I always start with Best Buy for my electronics needs. They are the largest electronics retailer in the United States and they are the closest to my home. It’s a great idea to use these retailers as a reference point before heading to other electronics retailers. 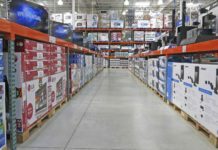 The retail industry is an aggressive one, so most retailers are willing to beat the prices of another company with their price guarantees. Make sure to inquire which retailers do match competitor prices or you may never know that this option exists. Walmart offers low pricing, but does not honor many competitors’ coupons. On the other hand, hhgregg offers to match a lower advertised price for an identical, in-stock product from local competitors or major online retailers. You may be wondering what television I ended up getting. Well I got the best deal on the television that I was looking for at hhgregg. I managed to get a 50-inch flat screen television for just over $500. I received a $50 coupon just for registering with the company’s website and was therefore able to lower my purchase price. 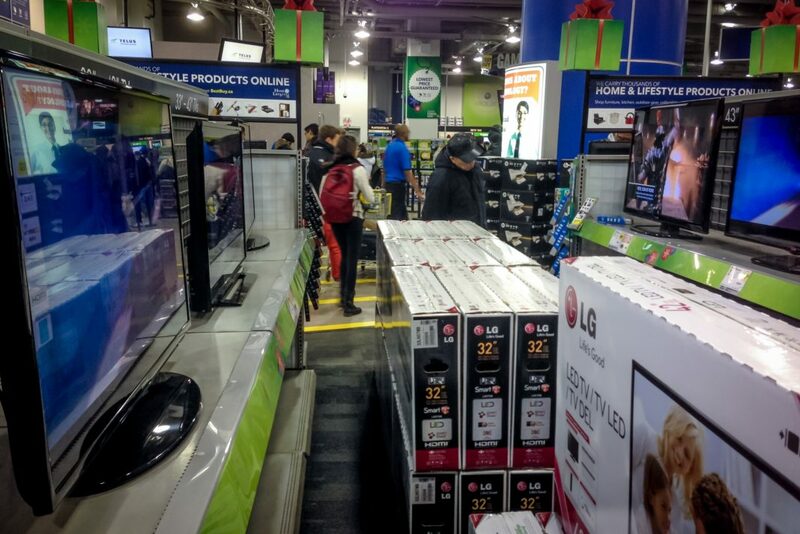 The same television was almost over $300 more at Best Buy. I am pretty pleased with my purchase and feel as if I got a good bargain. The lesson to be learned is that you should take your time and shop around for the best deal possible. It’s a big purchase, so make sure to get the best deal possible. Do you have any helpful tips that could help others looking to buy a television?